Interested in a Ford Territory? 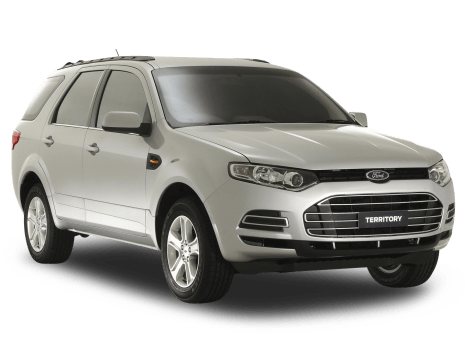 Every bit as Australian as the Falcon or Commodore - though perhaps not as iconic - the Ford Territory was launched in Australia in 2004 and quickly struck a chord with SUV shoppers. Available from $30,360 to $54,890 for the Territory TX (RWD) and Territory Titanium (4x4) models respectively, the Territory is a five- or seven-seat hauler that competes in the large SUV segment against the likes of Jeep's Grand Cherokee and Toyota's Kluger. Or should that be did compete? The Territory is an innocent victim of Ford's demise in Australia (or the demise of its local manufacturing operation, at least), and so the well-received 2016 update was also the last, with the popular SUV to be replaced by an Australian version of the American-sourced Ford Edge.